Some information may be found in the AEA and CPAE collections at Syracuse University, Arents Library. Born in Hanover, MA, daughter of the Reverend Guy Percy Benner and Julia Caroline Whitney Benner. Married Ernest Cassara, February 7, 1949. Children: Shirley Cassara, Catherine Cassara, Nicholas Ernest Cassara. Named as "Woman of Achievement" by WETA, Washington, DC, 1978. Citation for outstanding service to adult education by the District of Columbia Public Schools, 1976. Recognition Award, Vermont Council for the Social Sciences, 1968. President's Merit Award, Adult Education Association of the USA, 1978. Directed adult education students who worked in the Jubilee Housing Project on Columbia Road. Directed a similar project at the Montana Terrace Housing Project, Washington, DC. Has directed several international adult education conferences. Retired and living in Cambridge, MA. Who's Who of American Women, 1975-76; Personal Vita of Beverly Cassara. 1962-63--Visiting Scholar, Cambridge University, England. 1970--Ed.D., Boston University, Boston, MA. 1947-48--News Editor and Broadcaster, WBET Radio Station, Brockton, MA. 1951-54--Teacher, Public Schools in Hanson and Abington, MA. 1961-62--Teacher, Bartlett School, Arlington, MA. 1963-64--Director of Personnel and Counselor to Students, Albert Schweitzer College, Churwalden (GR), Switzerland. 1966-70--Director of Adult Education, Goddard College, Plainfield, VT.
1970-90--Professor of Adult Education, University of the District of Columbia, Washington, DC. 1971--Instructor, Fairfax County Adult Education Program, Fairfax, VA.
1971-72--Instructor, Northern Virginia Community College, Fairfax, VA.
1971-72--Instructor, University of Virginia Center for Continuing Education, Falls Church, VA.
1972-76--Acting Director, Institute for Continuing Education for Women, Federal City College, Washington, DC. 1973-85--Dean, Graduate Studies, University of the District of Columbia, Washington, DC. 1974-79--Adjunct Professor, Virginia Polytechnic Institute and State University, Blacksburg, VA. Adult Education Association of Metropolitan Washington. Adult Education Association of the United States [AEA-USA]. Adult Education Association of Virginia. American Association of Adult and Continuing Education [AAACE]. American Association of Higher Education [AAHE]. American Society for Training and Development [ASTD]. Coalition of Adult Education Organizations [CAEO]. Committee on Illiteracy, National Program of the United Way. Committee on Issues and Planning of the Conference of Southern Graduate Schools. Conference of Deans of Black Graduate Schools. Council for the Advancement of Experiential Learning [CAEL]. Council of Graduate Schools of USA Board. Higher Education Group of Washington, DC. International Associates in Adult Education Board. International Congress of University Adult Education [ICUAE]. International League for Social Commitment in Adult Education. National Association of Black Adult Educators. Planning Committee of the United States Council of Commission on the Status of Women. Society for International Development/Women in Development. Southeast Fairfax (Virginia) Civic Association (Membership Chair, 1976-77; President, 1973-74). State Advisory Council on Adult Education. Vermont Governor's Commission on the Status of Women (Chair, 1969-70). Co-founder and President, Washington Women's Forum, 1978-87. Cassara, B. B. (Ed.). (1962). American women: The changing image. Boston: Beacon Press. Cassara, B. B. (1979). The lifelong learning act--an assessment. Convergence, 12. Cassara, B. B. (Ed.). (1994). Adult education in a multicultural society. London: Routledge. Cassara, B. B. (Ed.). (1995). Adult education through world collaboration. Malabar, FL: Krieger. 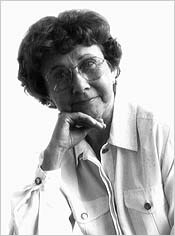 In addition, in 1995, Dr. Gretchen Bersch, University of Alaska, Anchorage, Department of Adult Education, produced a video for the Theory and practice of adult education in North America series that included an hour-long video of Dr. Cassara in conversation about the adult education field.